You want a practical, tactical and survival knife that makes a statement? 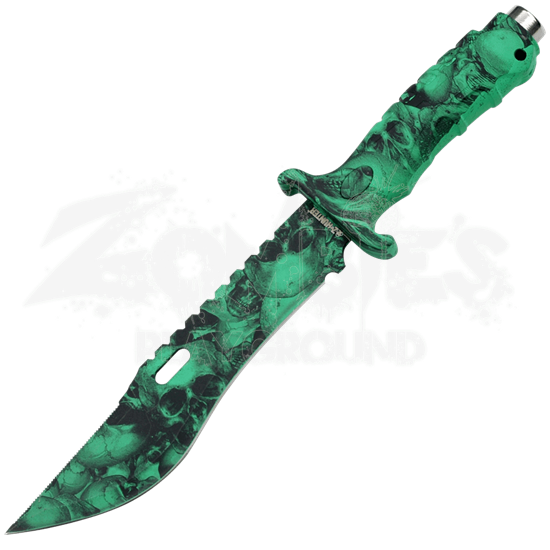 Then you need the Green Skull Survivor Knife. With a stainless steel blade, this striking survival knife is good for cutting, slicing, piercing, and sawing. The rubber handle makes it easy to grip, and the metal pommel makes a great smashing and glass breaking tool. A green skull pattern covers the knife from blade to handle making this a functional and intimidating blade. This knife comes with a nylon sheath so it is never far from grasp. 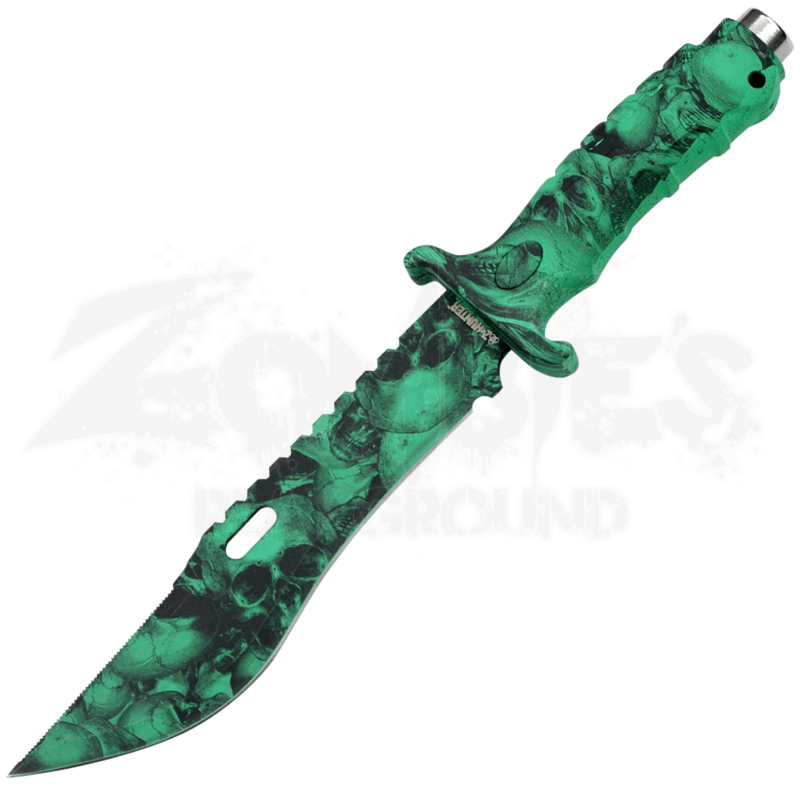 Get the Green Skull Survivor Knife today, and be ready to survive and subdue.